With the recent changes in the world economy, everybody seems to be feeling the pinch. Housing markets are down, inflation is up, fuel prices are rising, and everyone is trying to save more and spend less. This goes for individuals and businesses alike — but it also affects entities we don’t often think about, like charities. Unfortunately, charities really feel the pinch of economic downturns. Just as with “optional” or luxury items, donations to charities often become reduced or even eliminated from budgets when times get tough. With these economic realities to face, charities must get really resourceful and sometimes change tactics in order to find ways to make up the deficit in donations. Fortunately, there are ways charities can combat the closed wallets and purses they have been facing in this current economic climate. One way that charities can battle back against the current economy is by creative marketing. Like any business or organisation, in order to get the public to respond to you, you’ll need to raise your profile. You’re more likely to get a positive response from people if you let them know you’re around in creative ways. The importance of creative, effective marketing applies as much to charities as it does to businesses. Additional wristband considerations for charities. However, another consideration charities must keep in mind is reigning in their budget even as they are taking steps to ramp up public awareness through marketing. They will not want to spend a fortune on marketing for the same reasons as their donors are spending less. In some ways it is like a chain reaction, but there are ways for charities to market themselves in smart, creative and innovative ways that won’t break the bank. 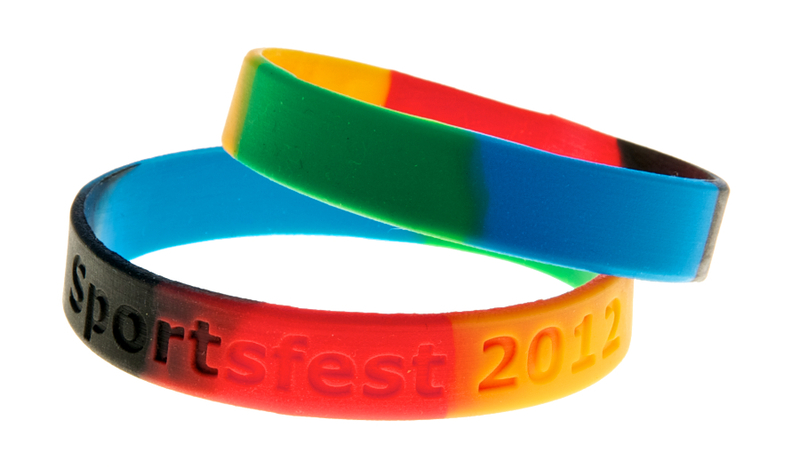 One creative marketing tool that is sometimes overlooked by nonprofits is charity wristbands or printed slap bands. Silicone wristbands with carefully chosen messages printed on them can be a catchy, flashy, effective and affordable promotional product. It is a great method that a charity can use to spread their message or mission statement to the masses. Charity wristbands appeal to people of all ages and can have a trendy and even fashionable appeal. These silicone wristbands can sometimes “go viral,” in that it could suddenly become very “hip” to wear your nonprofit’s charity wristbands. This sort of phenomenon is a marketer’s dream come true! 1. Stay true to your message. Find a succinct way to make a statement on the silicone wristbands with a simple on-topic phrase that relates to your organisation. In some cases, just a word or two can make a bold and memorable statement. 2. Promote the wristbands in a way that puts your organisation in the spotlight as current, cutting edge and perhaps even fashionable. This way, more people of all ages will want to help your charity and will wear the wristbands as a show of support. From there, the ripple effects will continue as more and more people ask your current supporters about their wristbands, and then seek out their own. 3. Ask for donations for the bracelets, but be sure to be clear about a suggested minimum donation. Charity wristbands are an affordable and innovative way to draw attention to your charity. A charity wristband campaign can help you to generate more donations, even in these tough and challenging economic conditions.